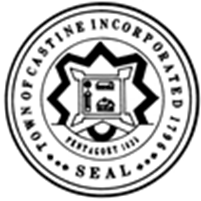 The town of Castine has always had a high level of citizen participation and involvement. There is also a citizens group doing research on developing senior housing in the area. Castine is happy to join our local efforts with Healthy Peninsula’s regional approach to the Network of Age-Friendly Communities with AARP and the WHO. The Castine Selectboard appreciates the strategic value of a regional approach, which understands each town’s unique character, while recognizing the importance of collaboration in designing and implementing age-friendly activities in our neighborhood of rural towns. In addition, our community benefits from the Thriving in Place Coordinator for Healthy Peninsula, the coordinating agency for Thriving in Place Downeast (TiPD). TiPD is a 3-year grant, funded by the Maine Health Access Foundation, designed to develop collaborative, sustainable programs and partnerships to enable seniors and those with chronic health conditions remain safely in their own homes for as long as possible. We are in our third and final year of implementation for the TiPD grant and have developed an extensive array of activities that help support age-friendly communities. By partnering with the local governments in our 9-town region to join the Age-Friendly Network, we are hoping to build on the progress we have already made and continue to strengthen the health of our community. Our own At Home Downeast (through Washington Hancock Community Agency) provides services to enable aging citizens in our area to remain in their homes as long as practical and our town will direct our limited financial resources to them.